This statement demonstrates our commitment to the privacy of your personal information. We do not collect personally identifying information about you when you visit our site, unless you choose to provide such information to us. Providing such information is strictly voluntary. This policy is your guide to how we will handle information we learn about you from your visit to our website. We collect and store the following information about you when you visit our website: the name of the domain from which you access the Internet (for example, hotmail.com, if you are connecting from a Hotmail account) the date and time you access our site, and the Internet address of the website from which you linked to our site (if applicable). 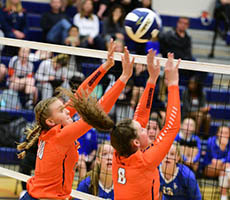 Eastside Catholic uses website statistics and analytics tools to analyze trends in how our website is accessed and utilized. This information is anonymous and cannot be directly linked to individual users. We use the information we collect to measure the number of visitors to the different sections of our site, and to help us make our site more useful to visitors. You may decide to send us personally identifying information in an electronic mail message containing a question or comment that provides us this information. We use personally identifying information from email primarily to respond to your questions and comments. We may forward your email to other employees who are better able to respond to you. We may also use your e-mail to contact you in the future about our programs that may be of interest. We will not obtain personally identifying information about you when you visit our website, unless you choose to provide such information to us. You may decide to send us personally identifying information by filling out a web form that provides us this information on our website, on social media websites that we utilize, or on another website that is linked to us. Providing such information is voluntary, but may be a requirement in order for us to respond to your request. We use personally identifying information that you furnish in this way primarily to respond to your requests. We may also use the information that you furnish to contact you in the future about our programs that may be of interest. Except for these purposes and as might be required by law, we do not share any information we receive with any outside parties. 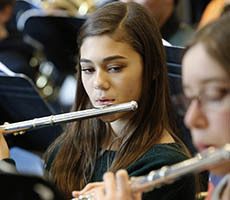 Our website may connect you to an online request form for enrollment or donations. If you complete the online request form and share your personally identifying information, this information will be used to respond to your request and to provide you with more targeted content. If you provide us with your credit card information to pay for a good or service, or a donation, we will use the information to process your transaction, but we do not otherwise share credit card information with third parties. We may use your contact information to send further information about our organization or to contact you when necessary. You may always opt-out of receiving future e-mails or mailings. To opt-out you may reply to an unwanted email with the word “remove” in the subject line or send a request to postmaster@eastsidecatholic.org. If your contact information changes please notify us by sending an email to postmaster@eastsidecatholic.org and include the following information: first and last name, phone number, old email address and new email address. You may also update your contact information previously provided to us through another online form. You cannot remove yourself from our database, but you can prevent unwanted communication. 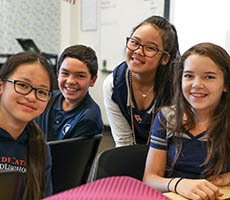 Eastside Catholic School maintains this official website to provide relevant information of interest concerning educational programs and activities to parents, students, alumni, prospective student families and other friends of our school. You are invited to browse this site. This site is provided for informational purposes only. The content on the site does not create a contractual relationship between you and us, except that when you order any item or service from the site for which you make a payment to us, or if you use the site to make an online contribution pledge, then you are entering into a contractual relationship as described on the applicable purchase or pledge page. We seek to keep this site current and accurate. 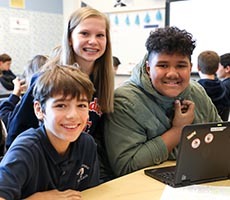 If you should have questions regarding any information on this site, please send an email to webmaster@eastsidecatholic.org and include the following information: first and last name, phone number, current email address, and the details of your question. We may remove or change information on this site at any time without notice. Other parties may have information about us on their websites; however we cannot ensure the accuracy of their information and we do not assume any responsibility for their sites. The Eastside Catholic website may contain links to other sites. Please be aware that Eastside Catholic is not responsible for the privacy practices of such other sites. You may download material displayed on this site for non-commercial purposes only, provided you also retain all copyright and other proprietary notices contained on the materials and agree to discontinue use upon our request. If you would like to publish information that you find on our website, please send your request to webmaster@eastsidecatholic.org. Where text or images are posted on our site with the permission of the original copyright holder, a copyright statement appears at the bottom of the page. Use of Eastside Catholic School’s logo and images is prohibited without our prior permission (request from webmaster@eastsidecatholic.org). Neither Eastside Catholic School nor any other party involved in creating, producing, or delivering its websites is liable for any direct, incidental, consequential, indirect, or punitive damages arising out of access to, or use of, this site. Eastside Catholic School also assumes no responsibility, and shall not be held liable for any damages to, or viruses that may infect computer equipment or other property as a result of using, browsing, or downloading any materials, data, images, or text from this site or any site which may be linked to this site. If you have any questions about this privacy statement, the practices of this site, or your dealings with this website, you can contact us at webmaster@eastsidecatholic.org.